As for enemies of Afghanistan, increasing insecurities in various parts of the country are important but for the people and government of Afghanistan, maintaining security and stability is significant. Strategic points of the government and Afghan national defense and security forces are the backrest of the people Afghanistan in current critical situation. Therefore, security is one of key priorities for the government and people of Afghanistan. Nevertheless, a number of members of Lower House of parliament have expressed their serious concern over increasing of insecurities in various parts of the country, saying insurgent attacks will increase if the government does not pay attention in this regard. In parliament’s general session held the other day, members of parliament considered that lack of powerful management and coordination between security organs were deteriorating security situation day by day in most of provinces of the country. “Increasing insecurities in Nangarhar, Paktia, Ghazni, Kandahar, Helmand, Uruzgan, Farah, Badghis, Faryab, Baghlan, Kunduz and Badakhshan in the past three days have caused that 200 Afghan defense and security personnel were killed and injured,” said Lalai Hamidzai, an Afghan lawmaker. Expressing concern over recent insecurities in Ghor, another lawmaker Faisal Yaqoobi said Ghor would be fallen to the hand of Taliban very soon if the government did not take serious step in connection with the maintaining security and preventing the enemies’ infiltration, adding that if the province falls to the Taliban, then the government cannot do anything. Concerns over increasing insecurities in the country come after insurgent groups increased their attacks on security checkpoints in various parts of the country where some security checkpoints in Nawabad of Faizabad, Chahaab in Takhar and Jalriz of Maidan Wardak have fallen to the Taliban group in recent weeks. 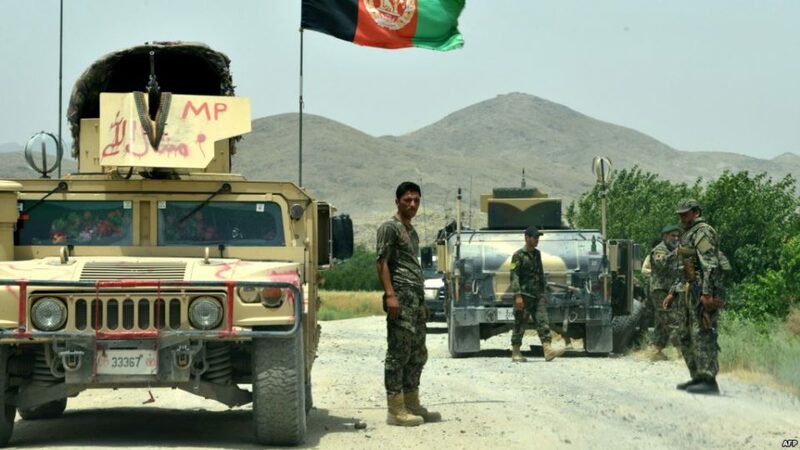 Afghanistan Ministry of Defense (MoD) says 30 districts of various provinces are facing with high security threat posed by insurgent groups, while 11 districts are in full control of armed insurgent groups. Acting spokesperson to MoD by accepting security threats posed by armed insurgent groups in some provinces of the country asserted that Afghan national defense and security forces have kicked off widespread operation in various parts of the country. Currently, the country’s national defense and security forces are engaged in fighting against armed insurgent groups in Uruzgan, Farah, Nangarhar, Kunduz, Faryab, Jawzjan and Helmand where the insurgent groups have sustained heavy casualties. On the other hand, Afghan military experts considered recent military operations of Afghan defense and security forces as insufficient, asking the government and security organs for adopting more serious measures to tackle threats posed by armed insurgent groups in the country. It is worth mentioning that Afghan national defense and security forces have planned and launched successful operations against terrorist groups in various parts of the country and have shown their military capabilities during the past few months.